Commercial window film often referred to as commercial window tinting is one of the simplest, cost effective and economical ways of reducing energy cost. It also increases comfort, protects interiors and helps protect people from harmful UV rays. There is a film for almost every type of glazing system, clear, low-e and many others. We have films to create any look you desire from highly reflective films to films that are clear. Did you know that energy cost represents 30% of a typical buildings annual budget and is the single largest operating cost? 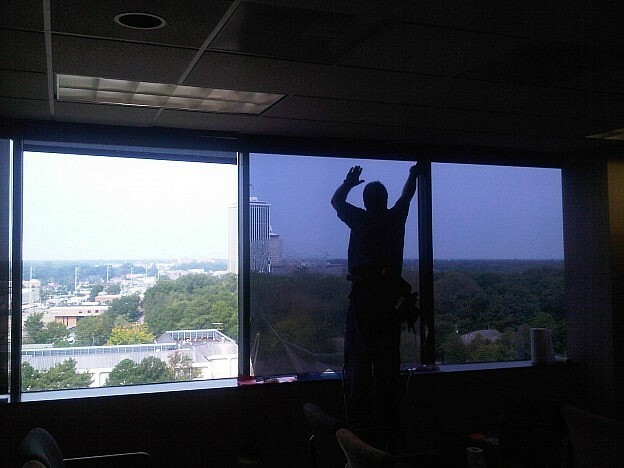 Many projects recover the cost of the window film in less than 3 years! As if saving money and protecting the occupants of your building were not enough of an incentive to apply commercial window film to your building it can also qualify for up to 9 points toward LEED certification. Request a free energy analysis using the DOE-2 analytics to estimate savings from the application of solar control window film. Call or email and let’s get started on the path to energy savings. This entry was posted in commercial property, Window Film and tagged solar control, window film on June 30, 2017 by Jeff Pitman.